Breakfast basic but you get what you pay for. 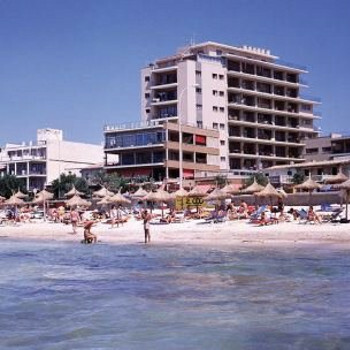 We have just returned from this hotel and it was a great holiday. The staff in the hotel are extremely helpful, for example when we got there a bottle of suncream had exploded in my partners suitcase and had gone over some of his clothes. We asked at reception if we could get it cleaned with the rest of the laundrey and the receptionist said that there would be a charge for this so she took my partners items home and washed them for us. Which we were so shocked by and very appreciative of. This was the hotel to a "T". Nothing was too much trouble for them and they would constantly go out of their way to help you out. The rooms are small but they are clean and you get maid service everyday (except Sunday), where they will make the beds and change the towels. Only problem with the room is the bathroom, this is very small and you both can't be in there at the same time-but at the end of the day it is a room that is cleaned everyday and is comfortable. The only other downside i'm afraid is no English Breakfast!! All that you get is tea, coffee and fruitjuice and then toast, breadrolls, jam and marmelade and ham. This is ok if you like that sort of thing but we were craving for a big fry up after a couple of days. But don't panic because accross the road there is a little cafe that does a fry up for about 3euros and there are some british bars that will do them too!! There is no entertainment in the hotel, but there are arcade machines (Street Fighter game and a pinn ball machine)and there is also a pool table. The hotel does have a swimming pool but it is rather small and very deep too so if you are taking children then just be aware of how deep it is! Although there is a children's pool attatched to it.